MAJOR PRODUCT LAUNCH ANNOUNCEMENT! Never again will any female or diverse entrepreneur or Founder have an excuse NOT to gain access to opportunity, mentorship and money. Ingrid Vanderveldt, started development of this platform during her time as EIR of Dell- created by and for women/ diverse entrepreneurs, open to ALL Founders. Be the first to see the first-ever automated “mobile money & mentors matching platform” connecting entrepreneurs and the corporations, investors and lenders seeking to reach them. Gain tips and insight on turning your greatest dream into a money-making machine and, combined with using the platform, learn “The Deal Maker Mindset,” a 3 step system for getting a yes from decision makers you connect with. 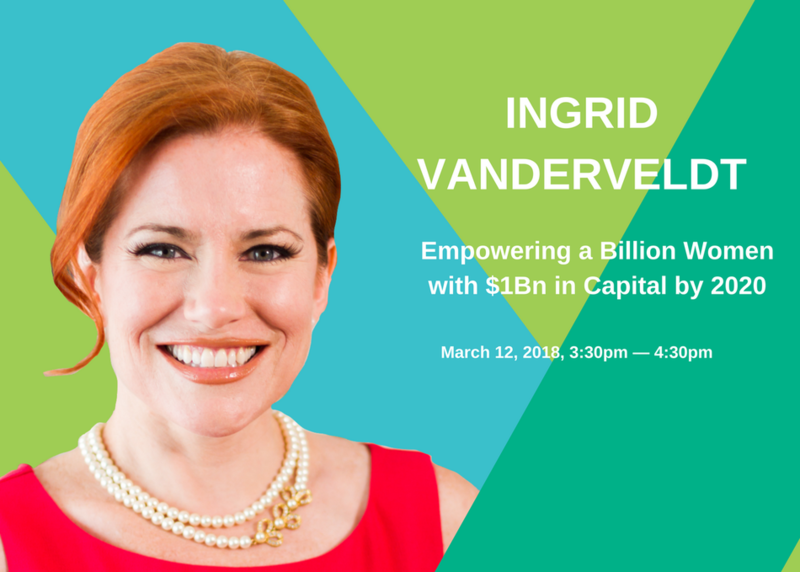 Open to men and women, in this session, Vanderveldt will show you how the dream and vision of allocating a billion dollars of capital resources to female and diverse founders by 2020 is becoming a reality.